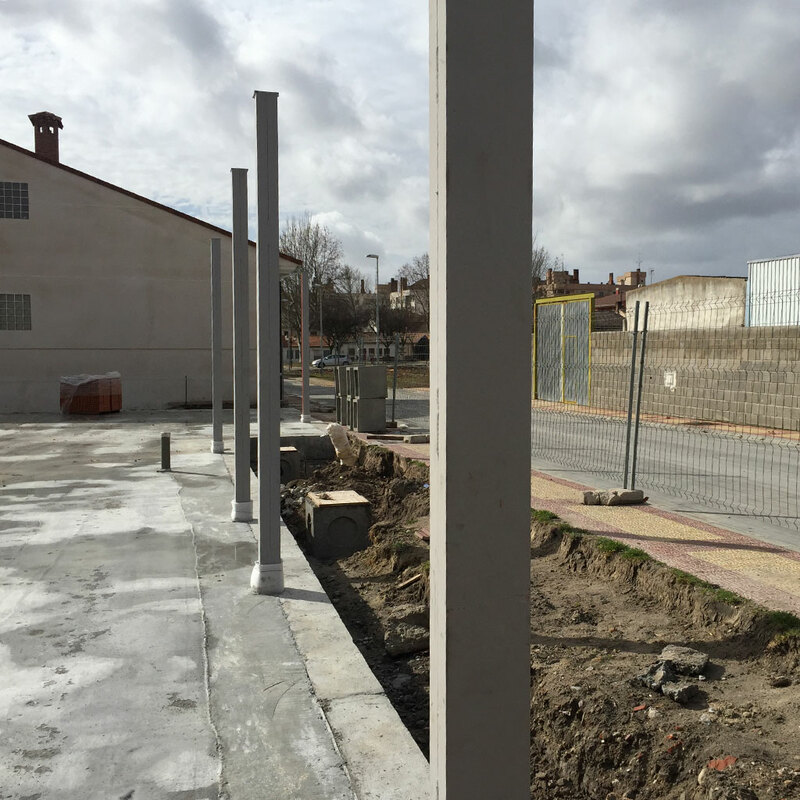 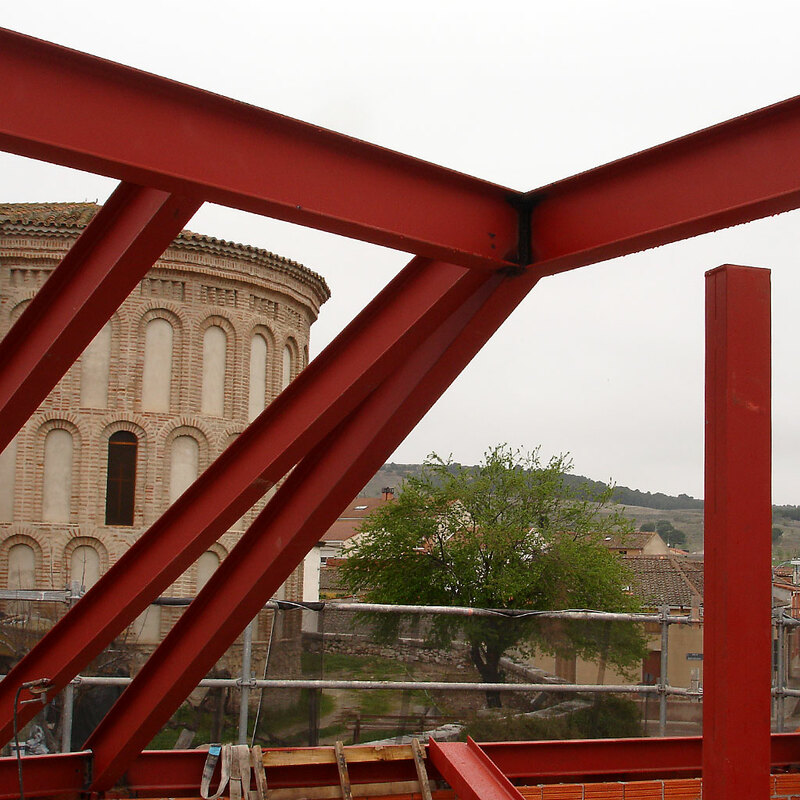 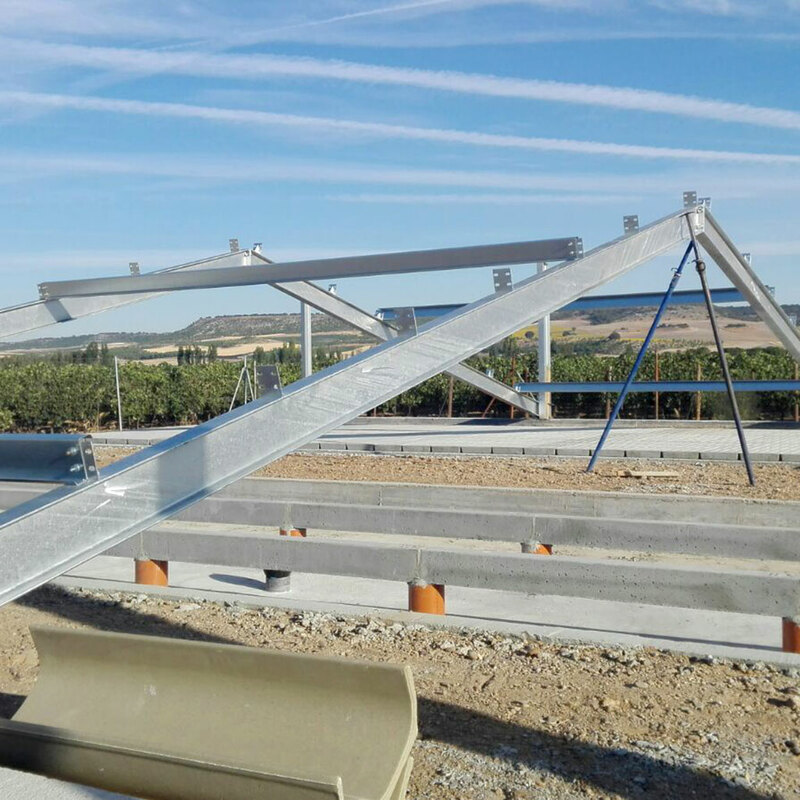 We are AENOR (Spanish Association for Standardisation and Certification) approved manufacturers of steel structure components in accordance with standard EN 1090-2, in Execution Class EXC2. 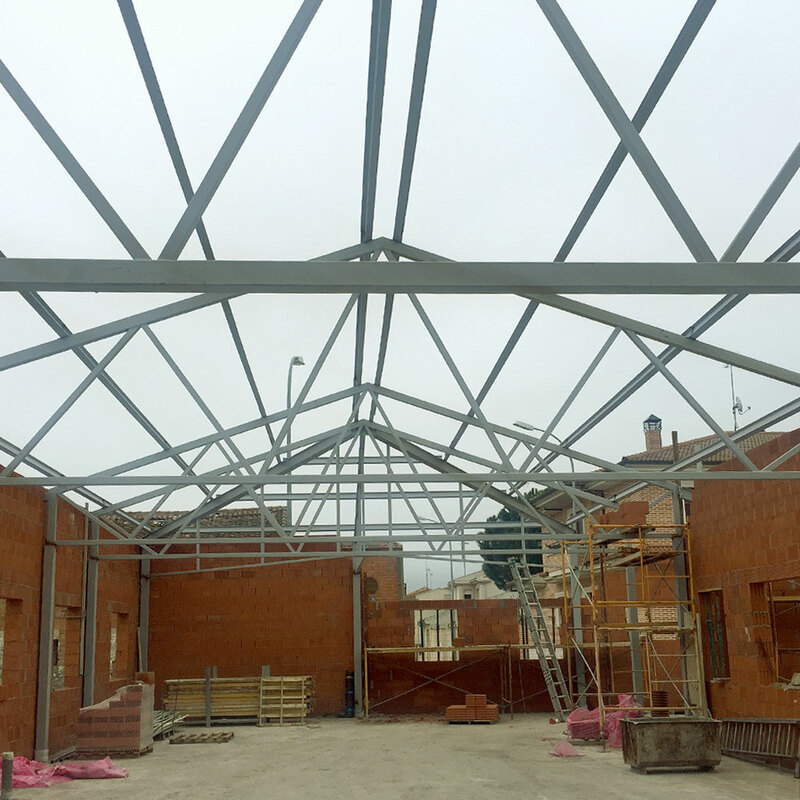 Our factory-based production control system means the different products we make in our workshop are audited by our production and quality department. 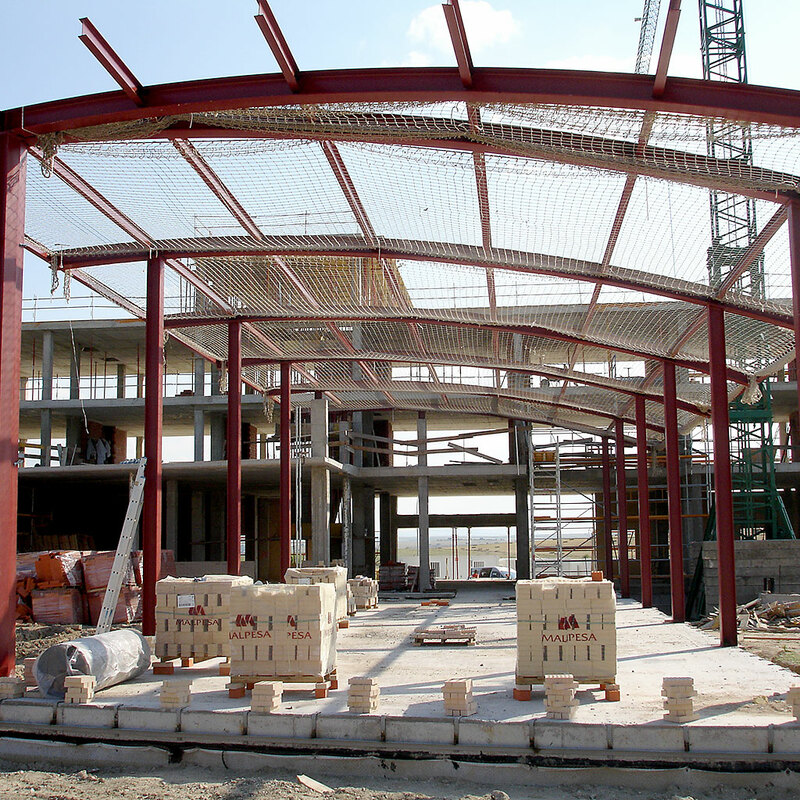 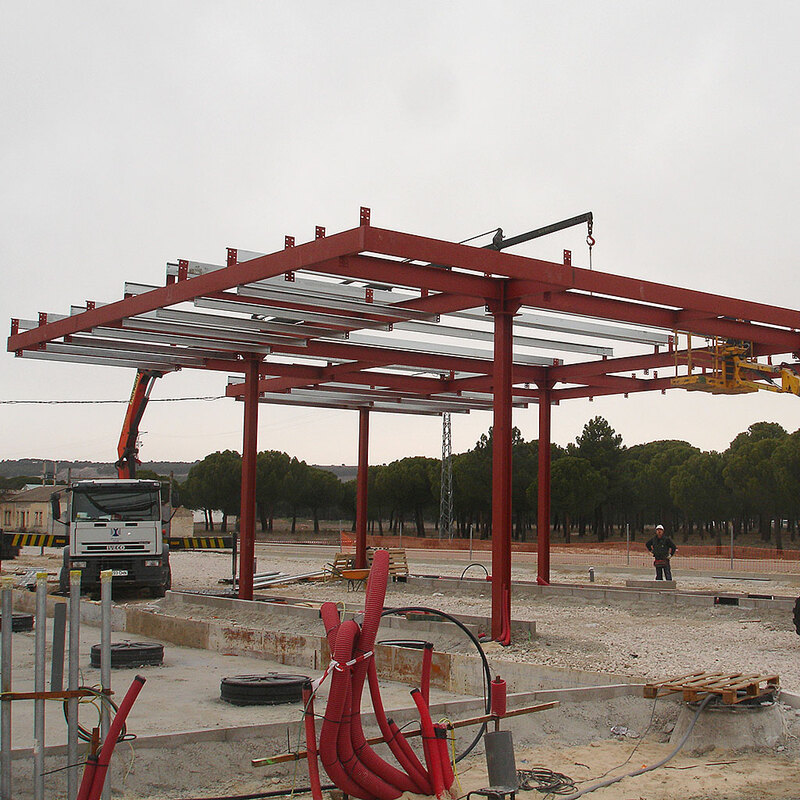 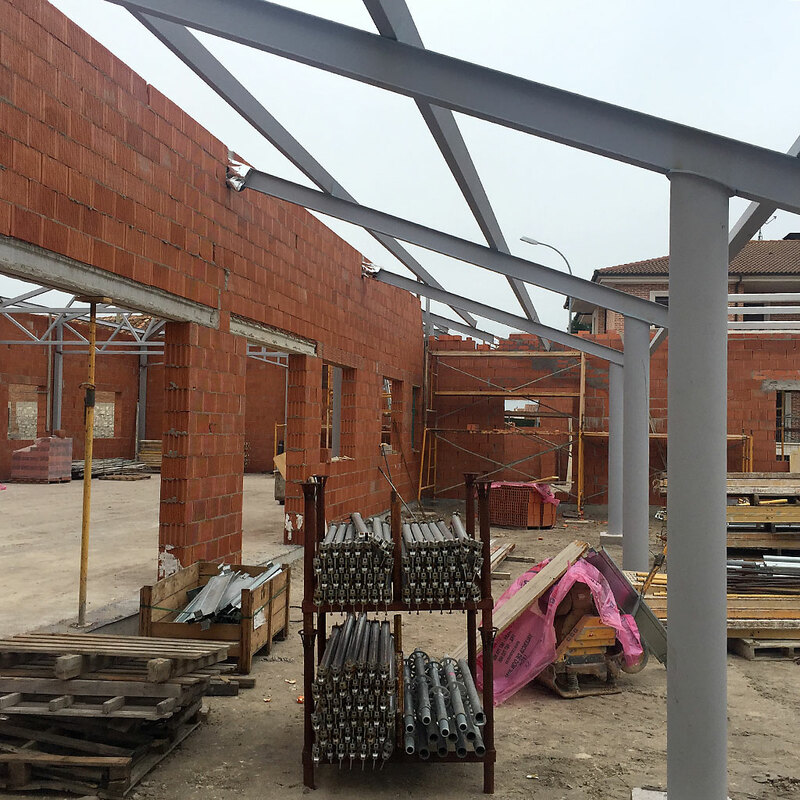 Final assembly of metal structures takes place on site, primarily using screw joints. 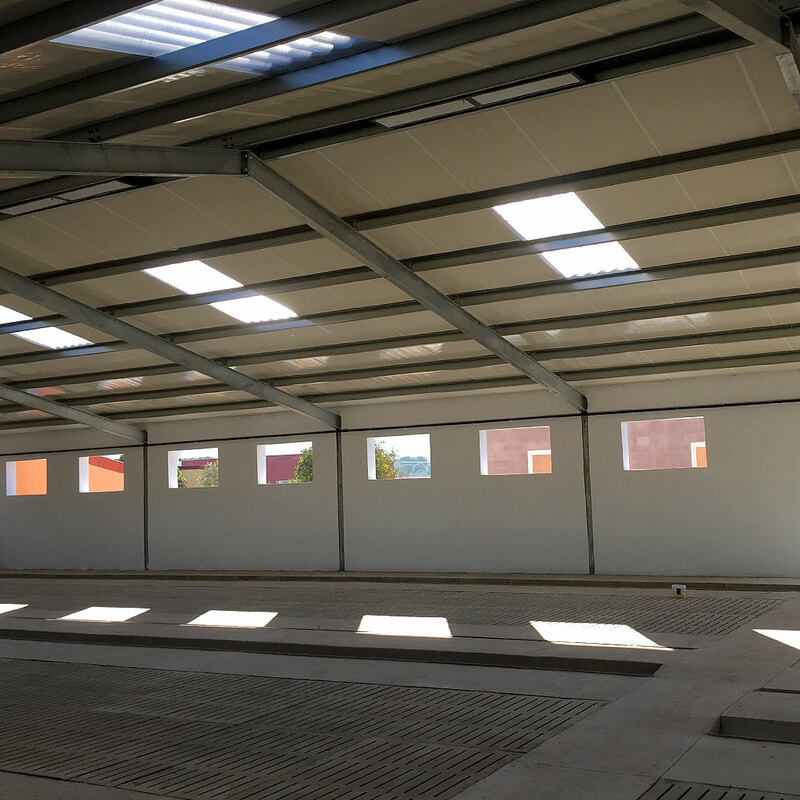 These two aspects, manufacturing components in the workshop and using screw joints, mean on-site assembly is very quick, with the consequent fixed-cost savings. 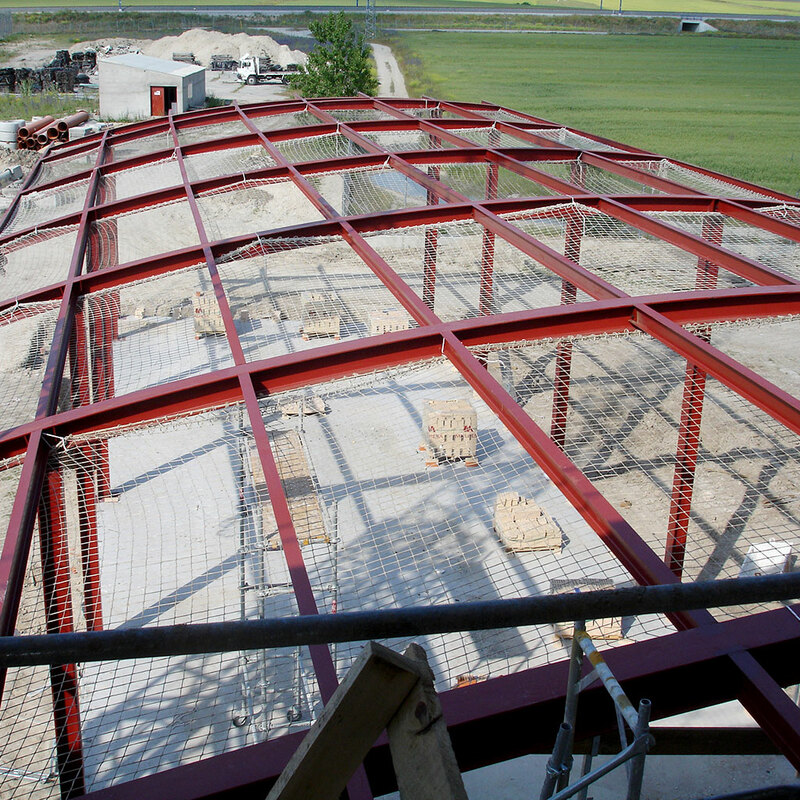 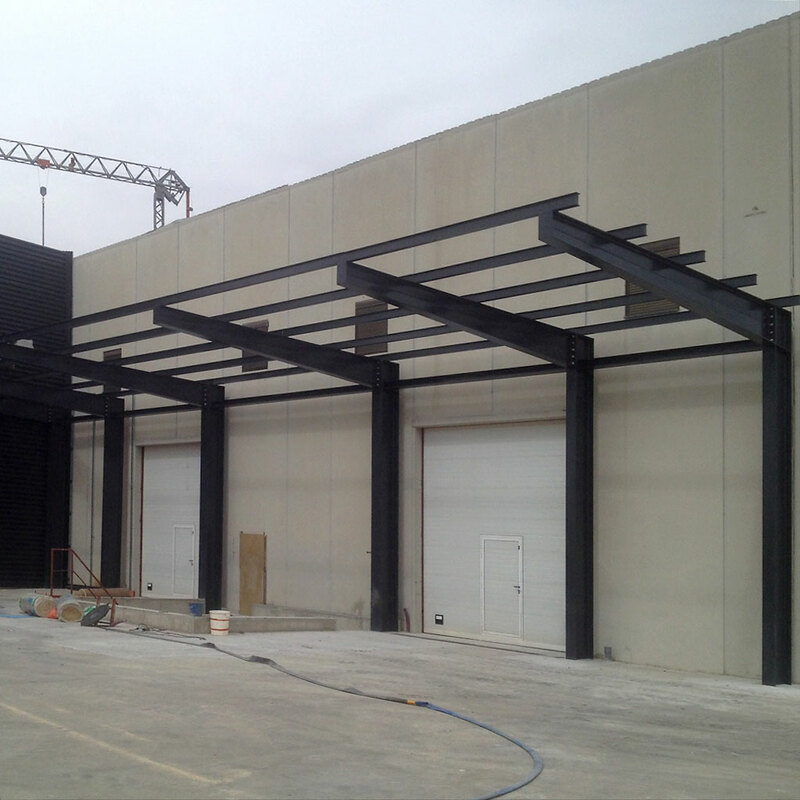 Depending on project specifications, fireproofing treatments are applied to the profiles of the metal structure. 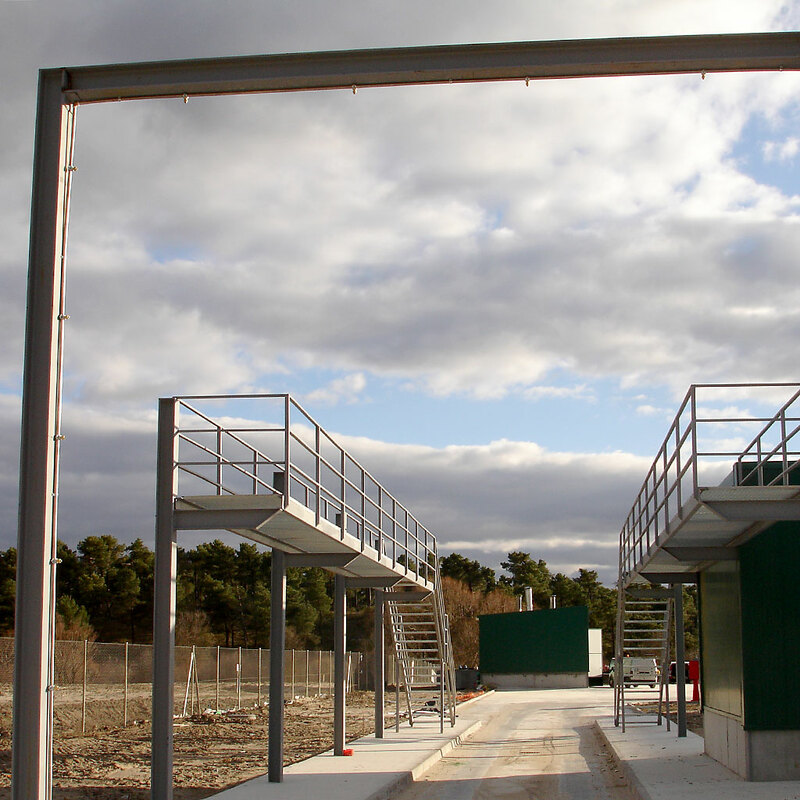 These are fireproof paints and/or mortars, which provide the fire resistance site management requires, in accordance with regulations. 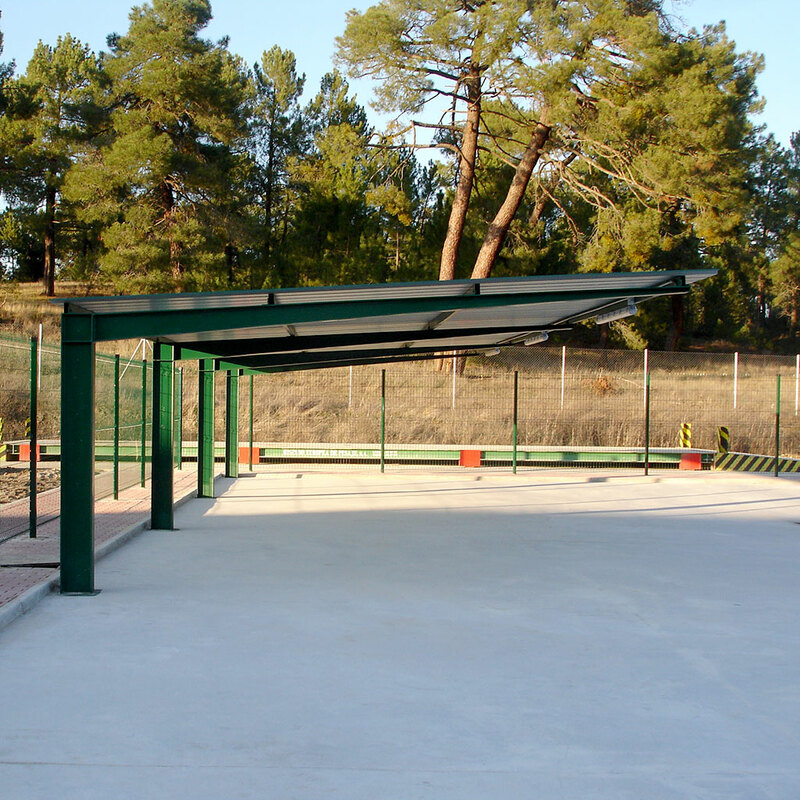 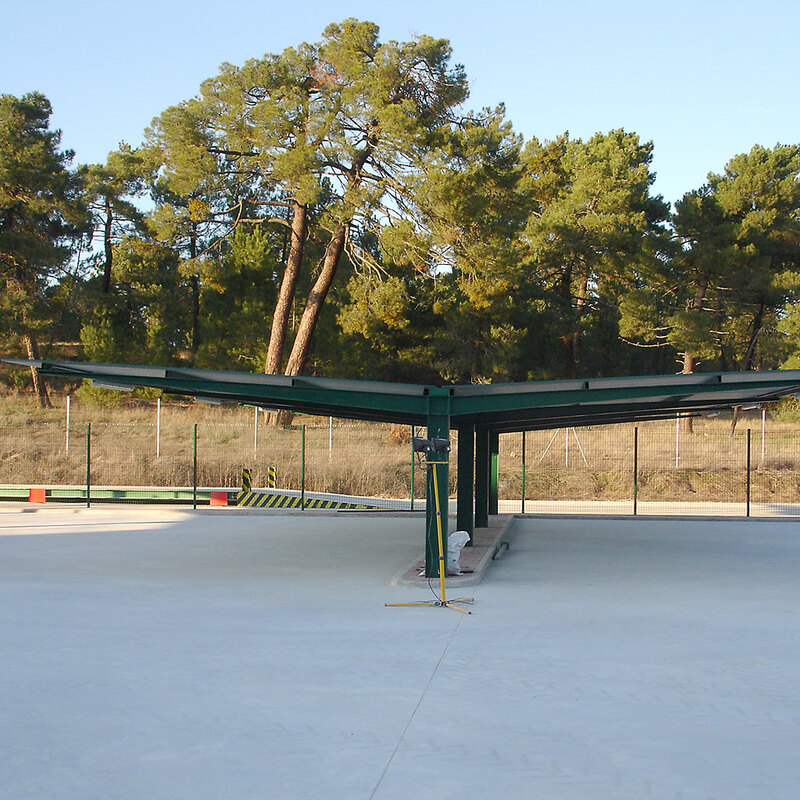 Manufacturing and assembly of metal structures for covered parking for industry, car parks, residential buildings and other uses. 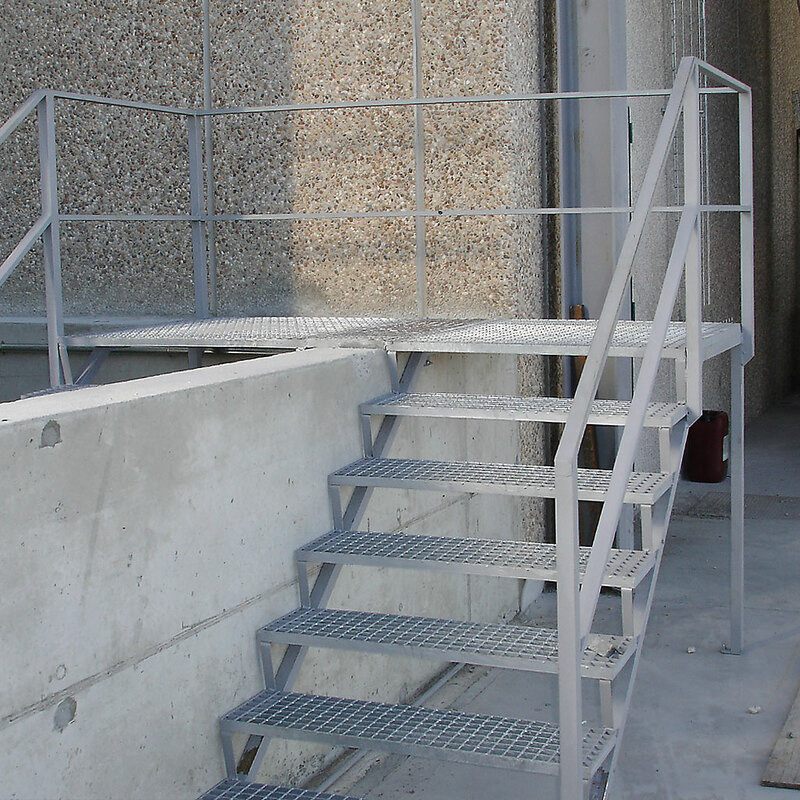 Manufacture and assembly of all types of stairway and rail, for industrial and residential use. 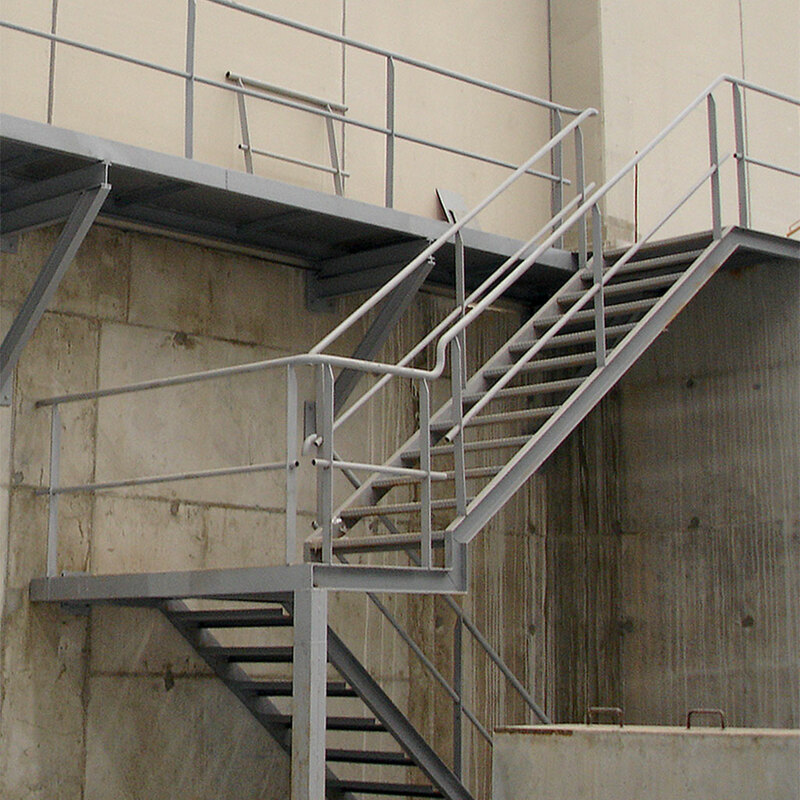 Stairways are manufactured using different materials for the frame, e.g. 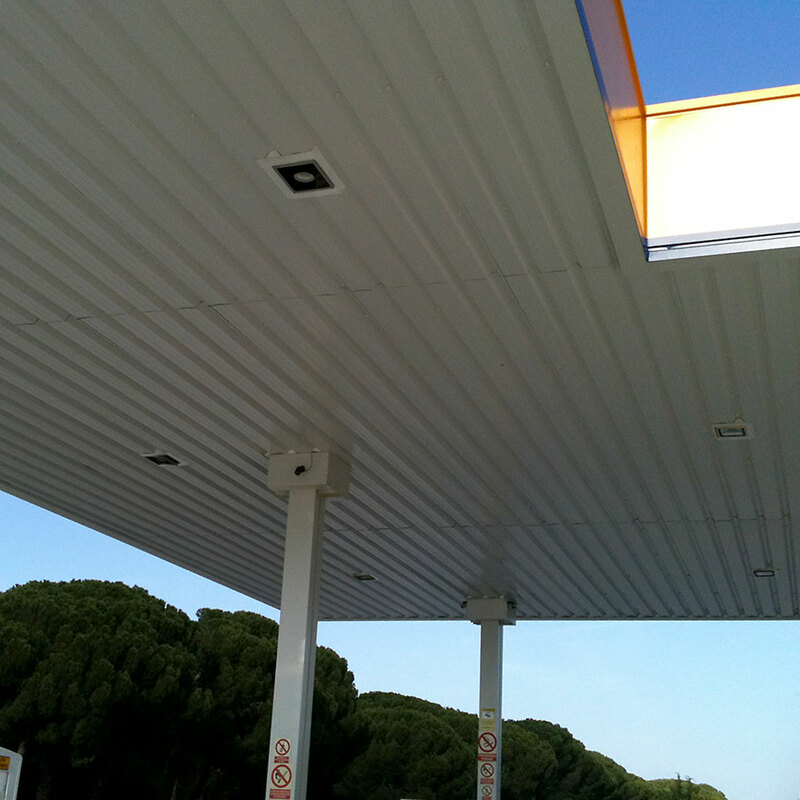 tramex, diamond plate or wood, in accordance with the customer’s design. 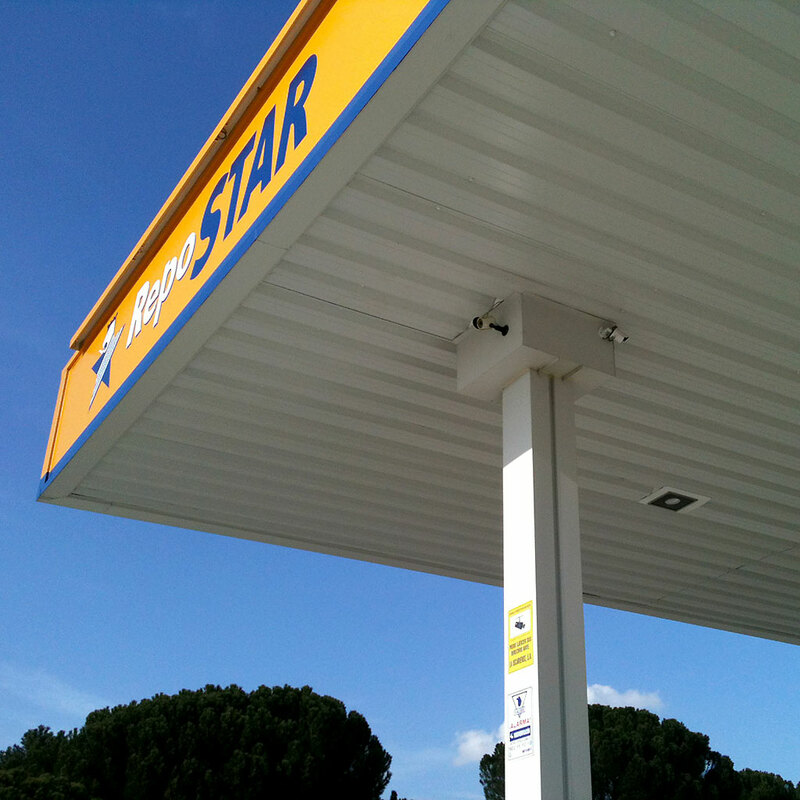 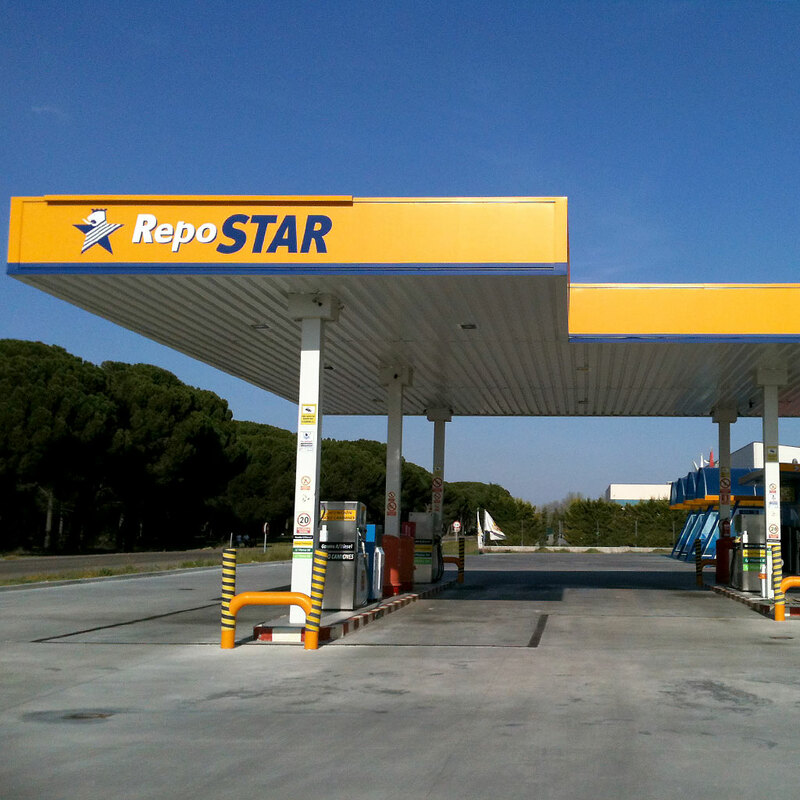 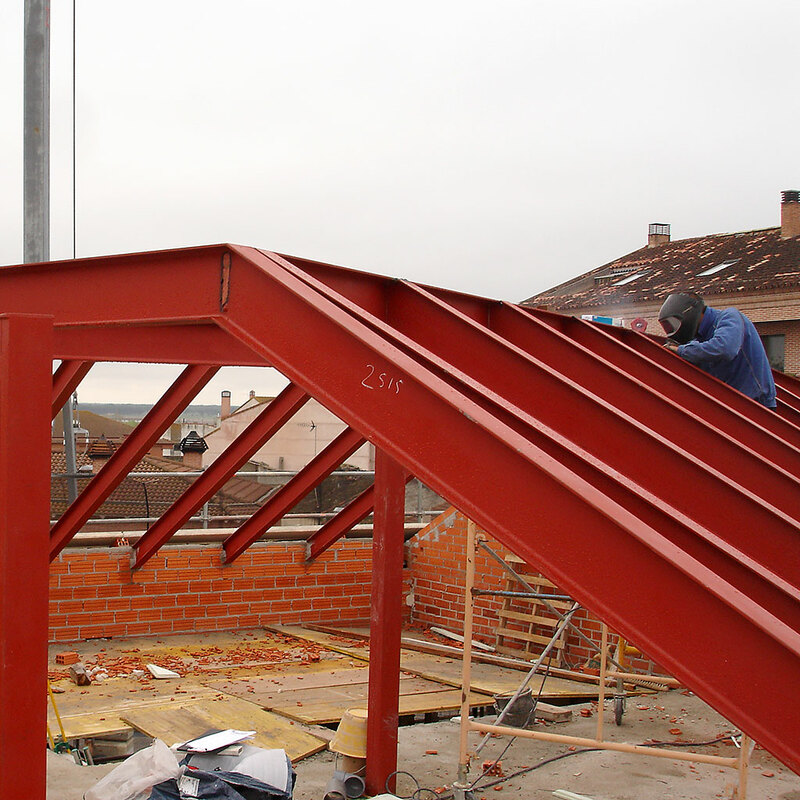 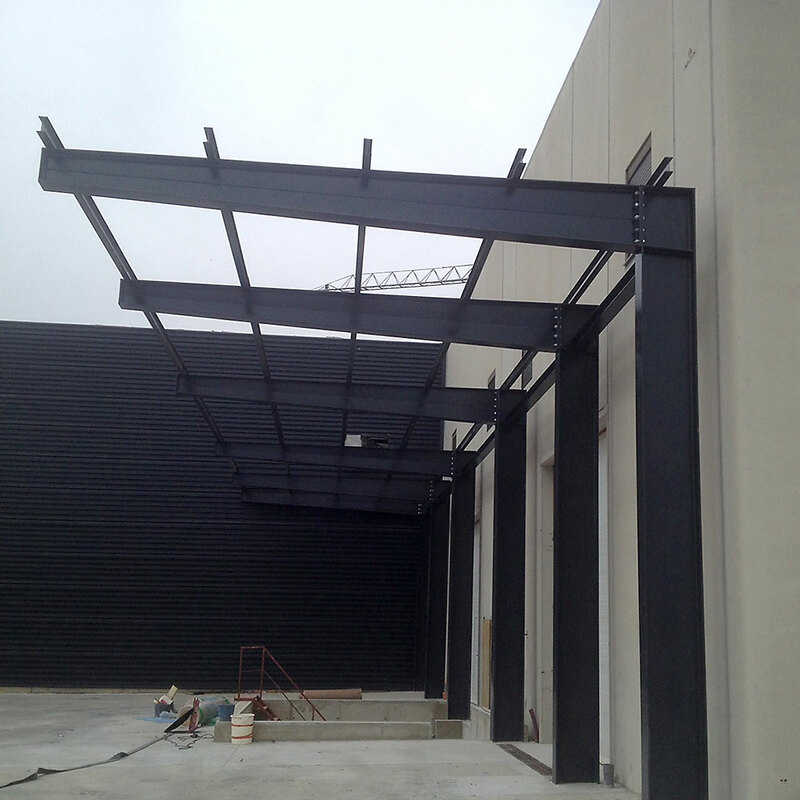 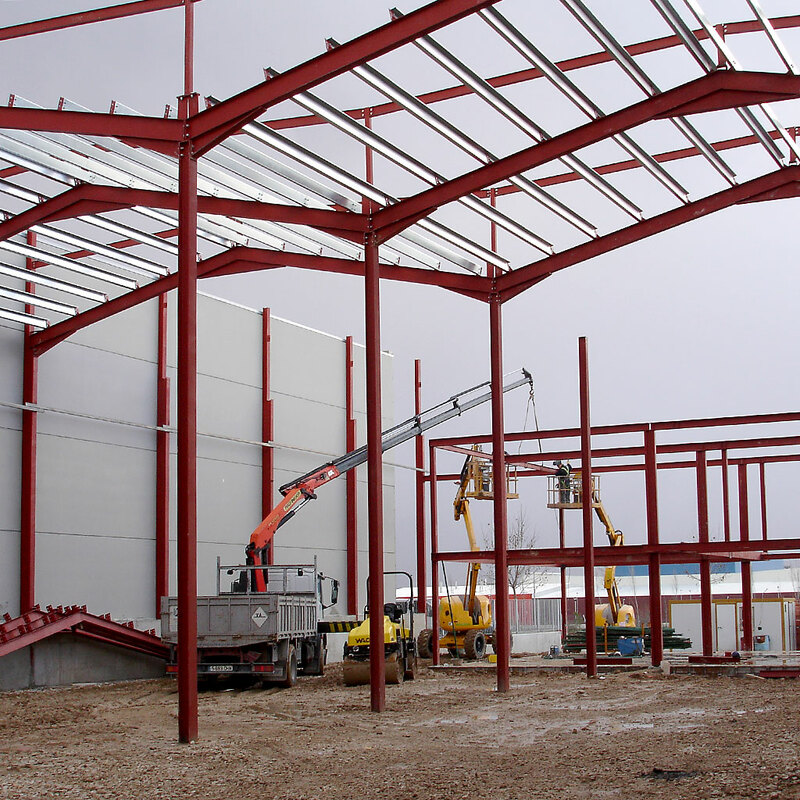 Metal structures can be used for all types of building and housing. 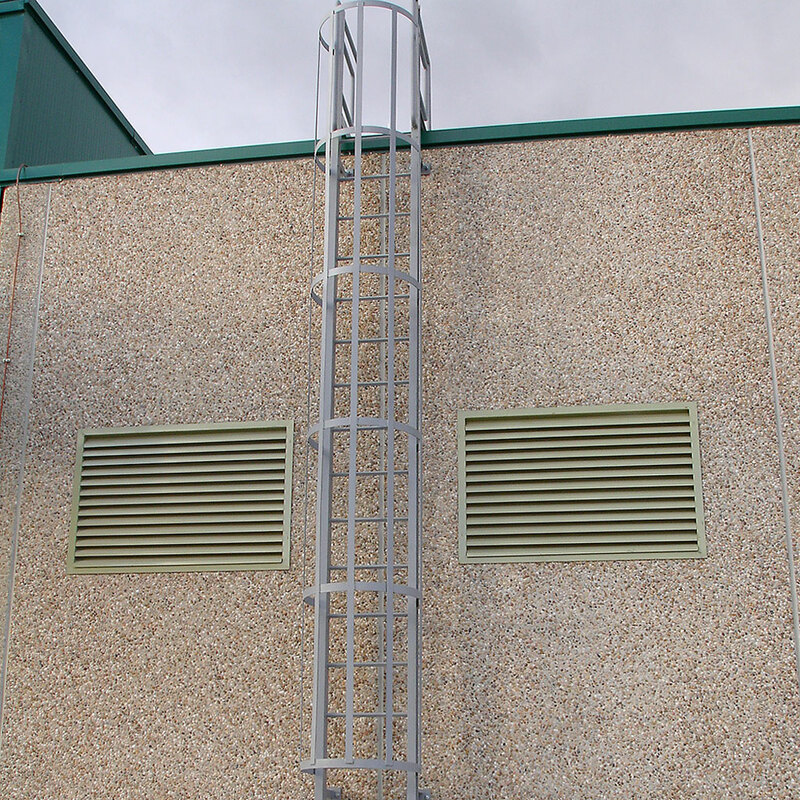 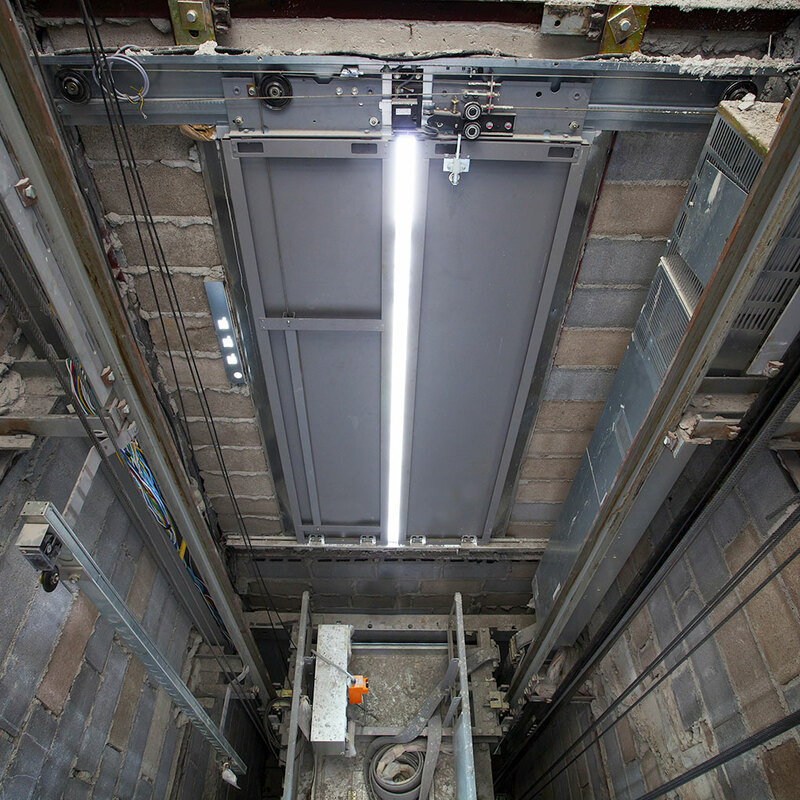 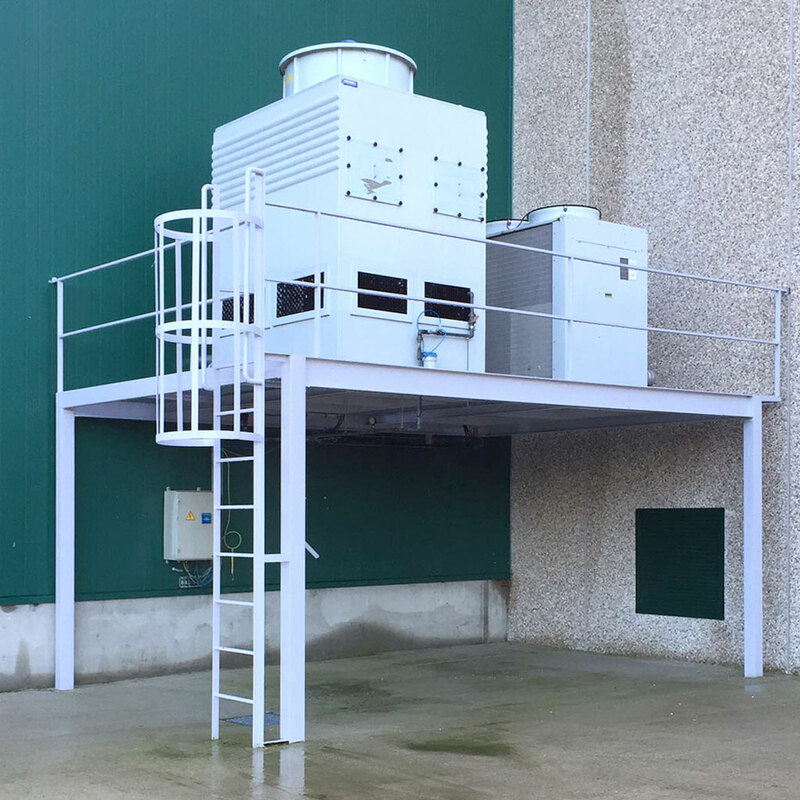 In existing buildings where the owner wishes to install a lift, metal structures enable it to be attached to the building or installed inside.